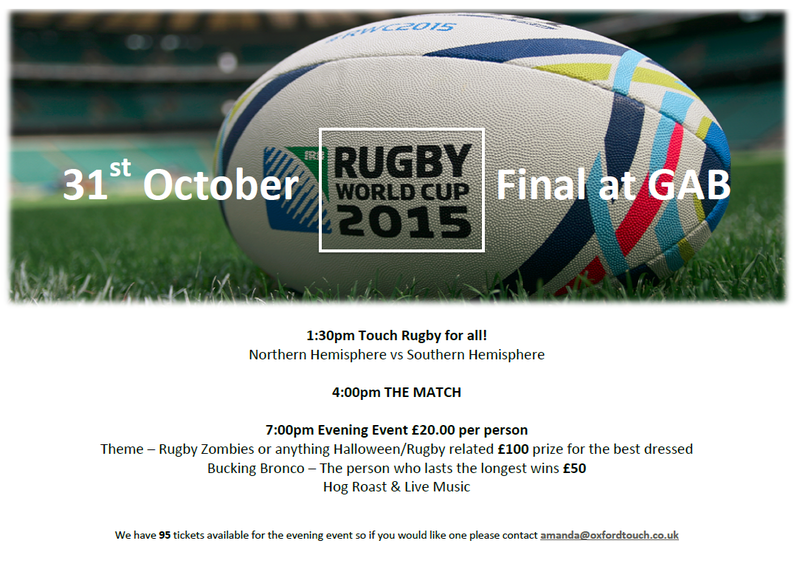 For those of you joining us for our annual Bonfire tournament on Sat 8 November, here's what you've been waiting for! If you've any questions in the meantime, feel free to get in touch. Fifth Oxford Bonfire Tournament now open for entries! In the NTS cup final Hot Custard ran out 7-3 winners against Galaxy. Tumeke beat Cambridge Hornets 5-3 in the plate final; the bowl final was won by Wigan Warriors, beating Oxford 9-6; and Thames Valley Vikings beat CSSC Phantoms 3-2 to win the shield. 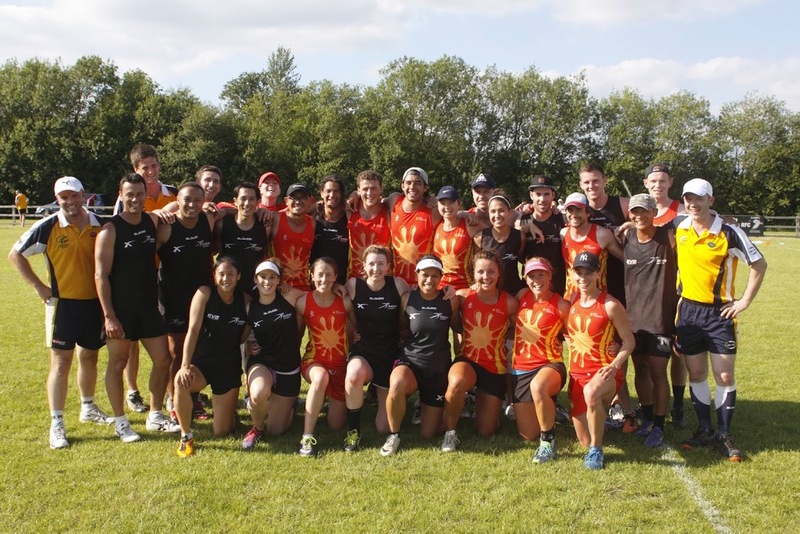 In the CTS, the cup was won by Cambridge Bees (4-3 against Varsity Vandals), the plate was won by Percy Park Pirates (4-3 against Flamingos), the bowl by CSSC Shadows (4-3 against Thames Valley Vikings), and the shield by Oxford Touch (5-4 against Bristol Fijians). Thanks to everyone involved for a great day's touch, especially to the referees, physios, volunteers, and the ETA's Tournament Director Kevin Hill. 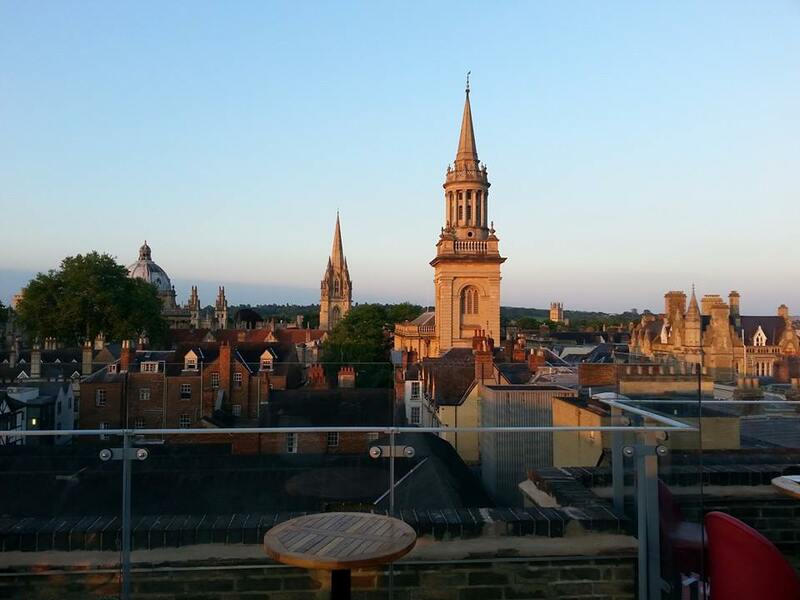 Those who pushed-on for the post-tournament social enjoyed alfresco drinks and fireworks from high up on top of Oxford's spectacular skyline. XBlades NTS & SPORTTAPE CTS 21 June: entries now open! 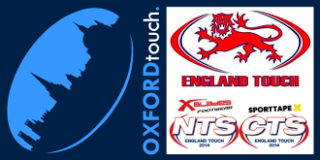 Entries are open for the fourth round of the 2014 England Touch Series, to be hosted by Oxford Touch on 21 June. 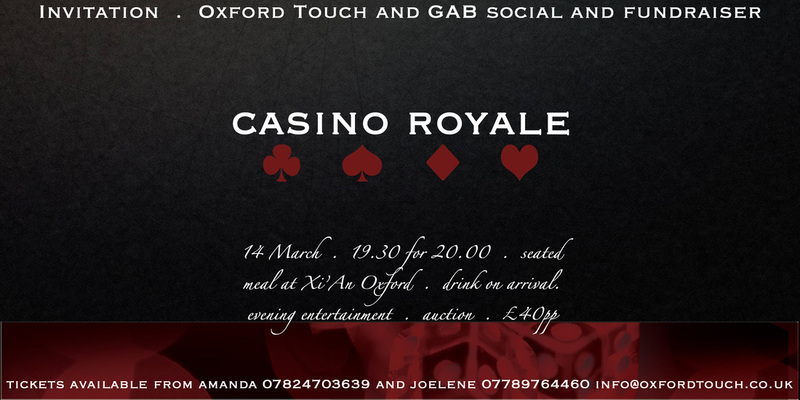 All the info you need for the day is at oxfordtouch.co.uk/nts-cts. Team admins have already been emailed with the registration details.